The SIGLENT SDS2000 and SDS2000X Series of Oscilloscopes have multiple options to fulfill your measurement requirements. 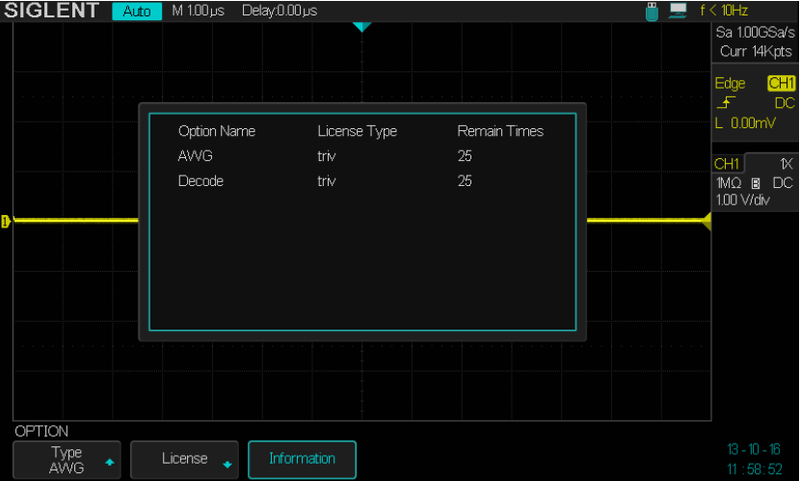 You can view the options currently installed on the oscilloscope or activate the newly bought option serial number through the Utility menu. 5. Press the Type softkey; then turn the Universal Knob to select the module to be installed and push down the knob to confirm. 6. Press the License softkey to enter the LABEL function menu to input the license. Figure 2: The LABEL Function Menu. Turn the Universal Knob or press the ← softkey and the →softkey to select character; Push down the Universal Knob or press the Enter softkey to input the character. Press the Delete softkey to delete the incorrect character. 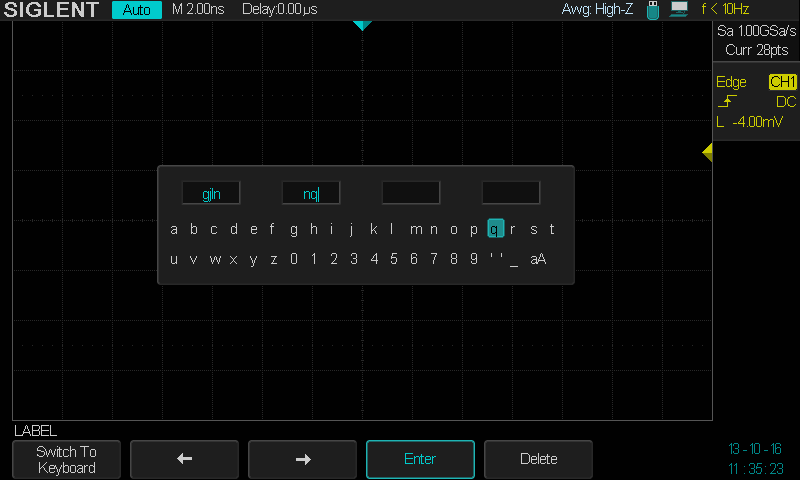 Turn the Universal Knob or press the ← softkey and the →softkey to select a character. Push down the Universal Knob or press the Enter softkey to confirm the characters and the oscilloscope will activate the corresponding option using the current license key. Press the Delete softkey to delete characters if you make a mistake. Figure 3: The Scope Option Information screen.